Yeah...and I believe this is the reason this thread hasn't gotten more responses. I think there is a lot of talk about what downtown can/will be but nothing is set in stone yet. The only thing I know right now that's going on is the whole Underground Atlanta construction and some other change (maybe just a small plaza...don't remember) in "McGill-Allen," "Sono," or whatever names we were giving the area. It had something to do with a Midtown Tavern and we were hoping that it would give the area some life. Nothing is a sure bet. But nationally and internationally urban centers are seeing huge growth. (in fact suburbs as we know them are only a couple generations old and thus riskier on the whole IMO). Unlike most other cities Atlanta so far has seen more of that urban development of the past couple decades go more to older intown "suburbs" such as midtown instead of downtown. While downtown has the best street grid and transit access planners and leaders have continued to see it as more a tourist destination and place to commute to from the suburbs by car instead of a neighborhood to walk around in and live in. That resulted in the streets being changed into 4/5 laned one-way speedways to get cars in/out quickly and massive fortress style buildings and parking garages with blank walls fronting the sidewalks for blocks and blocks at a time. Killing most any sense of place, safety, and walkibility. But that all is changing now with project like the Gulch, Underground, and South Downtown that all include residences and engaging a grid of smaller, walkible streets. At the same time leaders like Tim Keane and Newport are working to redesign existing streets and areas of downtown to be safer and more engaging. Again, nothing is a sure thing but I see downtown as the best bet in the metro. And I have invested accordingly. As for exact locations, it is more what you personally prefer, but I even favor the buildings closer to five points / Woodruff Park over the newer ones near Centennial Park my self. With downtown, it's not a question of if; it's a question of when, and the question of when makes all the difference when it comes to buying a home. I had a friend who had a condo at the William-Oliver building. It was pretty cool - 2br/2bath. The main downside is it did not have parking. We used to walk down to Fairlie-Poplar at night and we saw a few homeless people but otherwise it was pretty desolate. I think you can find some good deals down there as opposed to Midtown which is really expensive. I think it will continue to improve but like others said hard to say by how much. Downtown has been lagging behind Midtown for about 20 years. My wife in her "singlehood" also lived in the William-Oliver Building and liked it (she had an efficiency). It IS actually right at Five Points (NOT Little Five Points) which is, of course the heart of Atlanta (Peachtree Street/ Marietta Street/ Decatur Street and Edgewood Avenue for the "fifth point") It is also the point of origin for Atlanta's street grid (northwest of Five Points is labeled NW, southwest of Five Points SW, etc.). Her unit fronted on Peachtree Street, so it it had spectacular view of Woodruff Park (Central City Park) and occasional parades. The back apartments have pleasant views of Broad Street. The Metropolitan in across Marietta Street (kind of catercorner from the William-Oliver) It used to be the Georgia Federal Bank Building. Units I have seen in that building seemed "cooler" and more spacious (I haven't been in either in over a decade). The William-Oliver residents parked at the ugly "green monster" garage southeast of Five Points along Decatur Street. My wife hated the parking situation "old, tight, smelly, and inconvenient". She also disliked grocery shopping while living there. (The itty-bitty Kroger was still open across the street from City Hall at the time, but still quite a hike, and not much good for REAL grocery shopping. There also used to be an exorbitantly over priced gourmet grocery off the William Oliver's lobby.) My wife usually made a weekly trek to the Ansley Mall just east of Midtown, where there was TWO full sized grocery stores. 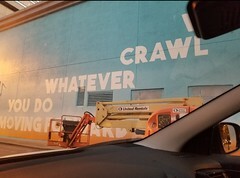 While there supposedly being a grocery retailer in the mix for the third incarnation of Underground, the grocery store offerings of Downtown do seem to be looking up, though. I work Downtown. 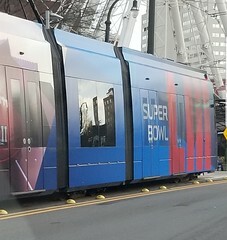 Its changing...more people visiting Atlanta than ever before due to a lot more attractions in the center of the city. It still can be quite dead on some weeknights tho besides Friday's. Downtown is cool. Got the GSU students on the eastern portion of Downtown. The tourist in the heart of Downtown. Gov workers south of UA. All the big events on the western portion of Downtown. The Curb Market. Edgewood ave party district. Peachtree Center. All Downtown really needs is for the UA development to open and for the developer to clear out the shops south of UA and Downtown will be even better. Hopefully Downtown and Midtown will connect in a few years with developments near the old Pine St Shelter. We know Midtown is on fire. The area around the AT&T building will be totally different in a few years. Downtown can be better than Midtown If all the developers finish their plans. Nobody has ever gotten hurt buying downtown real estate in any city so long as they paid a reasonable price. Just hang on to it and you should be good in the long haul. 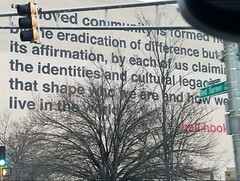 The city is doing a good job downtown with making some of the old school 'blank walls' more interesting. I'm not sure how much of it is related directly to the Super Bowl. 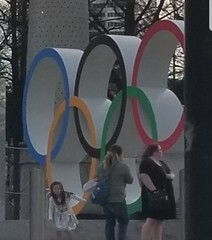 In addition, the Olympic Rings at Centennial Olympic Park are a huge hit. Seems like they are a must-take-shot in pictures for tourists. Since pic/social media are so viral these days, would have been nice if the word 'ATLANTA' was somewhere in frame. (I think about all the pics I've seen near the same ARUBA or AMSTERDAM signs). I saw a few listings in the metropolitan and William Oliver buildings. are those too far from the centennial park? . I didn't see anyone answer this, but William-Oliver and Metropolitan are a very short, straight walk to Centennial Park. Three or four minute walk, even shorter if you take Walton because there's less traffic and you can cross streets much faster.